Should You Have A Style and Stick With It? Over my career as a painter, I’ve worked in many different series, styles, and mediums. I was trained in the classical Renaissance tradition, in oil on canvas. Later, in my last couple of years as an undergrad art student, I branched out into sculpture and assemblage. In grad school I dabbled in acrylics, finally making the jump to acrylic painting in about 1990. Throughout all of these experiments and forays into various media, I have wandered through figure painting, landscape painting, printmaking, assemblage, sculpture, and digital media. Along the way, I periodically wondered if I should find my “style” and stick to it. The only problem was that I was, and am, curious. I’m curious about new ways of creating and solving new problems. Next month, I will be presenting yet another way I’ve explored creativity. Apple has asked me to demonstrate my ideas on creativity and digital art. I’ll be at the Apple flagship store in San Francisco on March 16. In honor of Women’s History Month, I’ll focus on two or three American women artists who have inspired me in some way. My choice of inspiration may surprise some people because my work looks nothing like the artists who inspire me. That is, until recently. Lately, I’ve been investigating a new path for my work. In late 2017 I was honored to be at the Golden Foundation as an artist in residence. While I was there I created several large scale paintings of lotuses and several lotus works on paper as well. Why am I painting lotuses all of a sudden you may ask? The answer to that is deeply personal and one I’m not ready to share with the entire world. Let me just say that in late 2016 there was an event that moved me deeply. 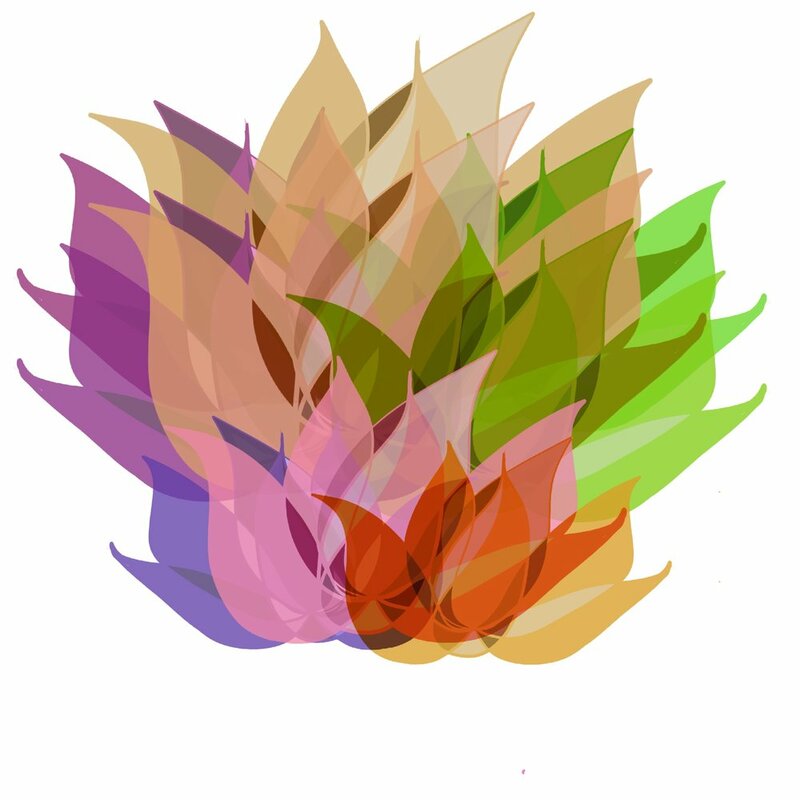 I was moved in a way I had never experienced before, and the lotus was the perfect expression of that movement. Since then I’ve been exploring other botanical forms, and I must say, I’m having a blast. I’ve always loved to draw, and now I have a chance to return to that basic technique. I guess I’ve come full circle. So in answer to my own question; should you have a style and stick with it? It’s a personal choice. And it should always be a personal choice. In my humble opinion, an artist should never chase the market, trying to paint what sells. I believe that authenticity will always be more important than sales. Sure you may have to get a side job to pay the rent, but your integrity will remain intact.